My mom had arrived after a long flight. We spend a couple days lounging around Playas Del Coco soaking up sun and margaritas, as she had flew in from chilly Calgary, Alberta for her annual visit. I asked what she would like to do for the day. Mom really isn’t one to ask to do anything, for fear of being a bother, but we were both in need of some serious R&R. She said “Well I sure would like to go to some hot springs for my achy bones and bathe in the volcanic mud and natural hot springs like we did last year”. I had heard about the new Blue River Resort & Spa and thought it would be the perfect opportunity to finally check it out. We made reservations to head out the next morning. We left Coco around 8:00am with plans on arriving around 10am to make the most of our getaway. Usually, I head to Arenal/La Fortuna to soak in the natural hot springs but after her long flight we wanted to spend less time in the car and more time enjoying. The drive there was easy. Heading north once we hit Liberia and then passing through the quaint town of Quebrada Grande and a few other tiny towns a long the way. It was paved narrow roads most of the way. The last 20 km was a little rough, after the final 5km. We were happy to see the entrance to the property. I must say I felt like we were in the middle of nowhere, which I loved! Very little phone service and few people was exactly what we were looking for. The staff greeted us with open arms. It felt like we were coming home. 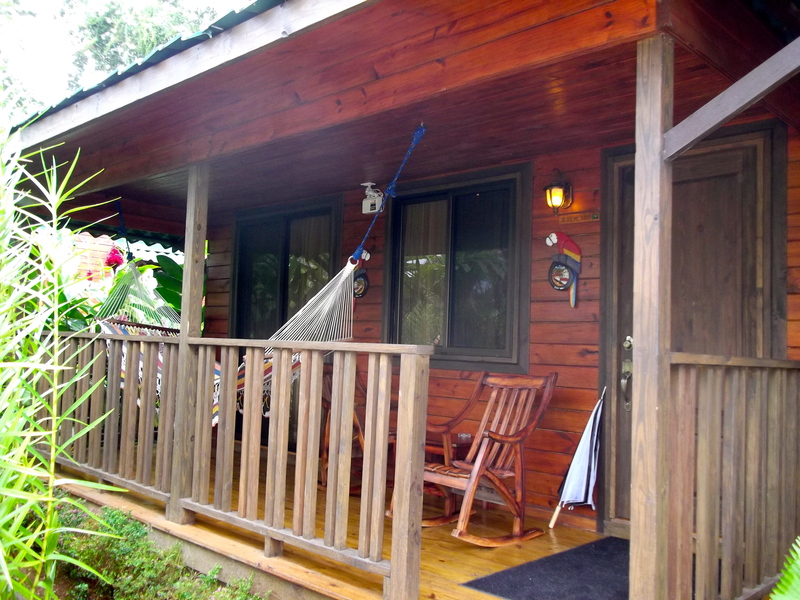 – The cabins were great, well equipped and rustic. Not too rustic very comfortable. 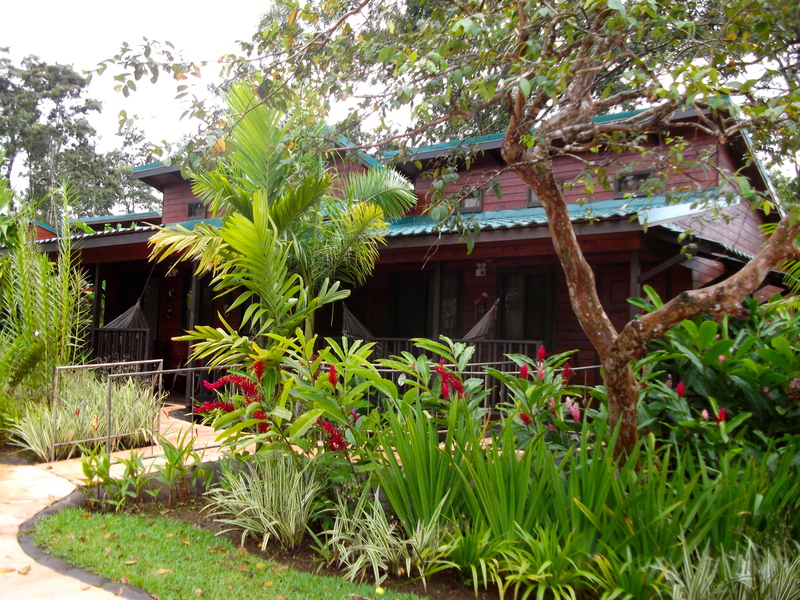 There was a hammock stretched across the front deck surrounded by all sorts of tropical flowers. The only thing that distracted me from my reading was the hummingbirds and parrots flying over. – The staff. Everyone from our hostess, the reception, the manager and the spa were amazing. They made us feel like we were the only guests at the small but full resort. – The gardens. Everything was beautifully manicured. The areas surrounding the pools were surrounded by the green lush plants that stay all year round when the Coco area gets dry. The orchids and hummingbirds kept mom enamoured the entire time. – We found the restaurant to be inconsistant. We did manage to have a few good meals, but found that they often didn’t have what was offered on the menu. 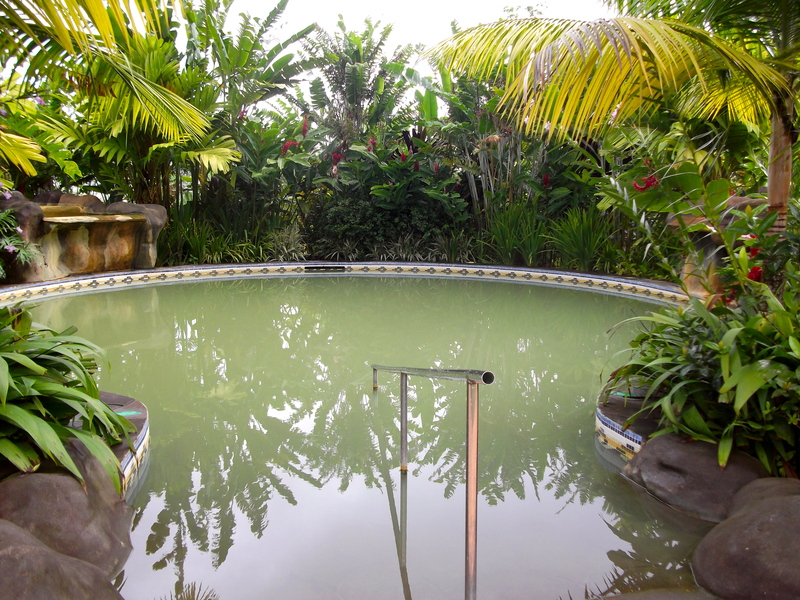 -I’m pretty spoiled with volcanic mud baths as I’ve lived here for over 6 years and have been to many different venues, all of which are different. This got the job done, but the setup wasn’t ideal for me. Overall, I would highly recommend visiting Blue River. The spa services were great. I strongly recommend to stay at least one night or two would be ideal. They have plenty of excursions available for guests. It was raining heavily when we were there and we preferred to pamper ourselves in the spa 🙂 If we would have had one more day there we definitely would have gotten out on the horses and done the canopy. The Blue River really was breath taking. 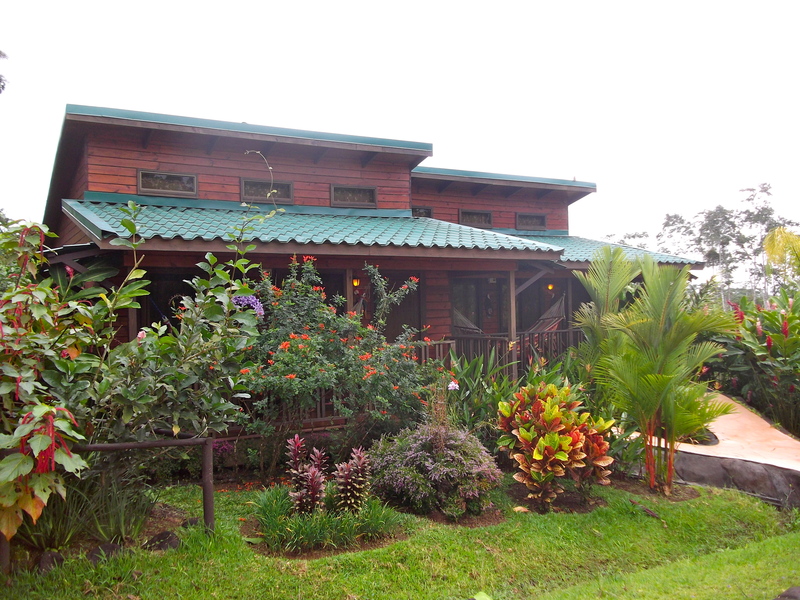 This entry was posted in Hot Springs, Mountain Hotels, Spa and tagged Blue River Resort, Cabins, Costa Rica, Destinations, Guanacaste, Hot Springs, Relaxation, Spa, Travel, Tropics. Bookmark the permalink. Wonderful experience with wonderful company! Love you mom!